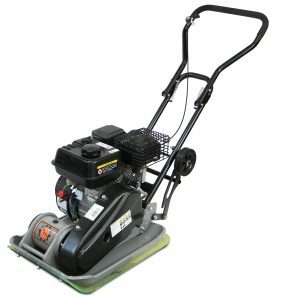 NEW & IMPROVED PACKAGING – The Dirty Hand Tools 79cc vibratory plate compactor is the tool you need to Complete your paving, landscaping, Sidewalk, patio or driveway project, providing professional results & a long project life. This vibratory plate compactor provides 1,843 lbs of centrifugal force oscillating at 5900 vibrations per Min to ensure your project’s base material is fully & completely compacted, preventing your poured concrete project from cracking due to the settling of the ground below. Perfect for home improvement & do-it-yourself projects of any size including the installation of paving stones & brickwork, compaction of gravel & aggregate beds for raised gardens & retaining walls, & the creation of stable, compacted surfaces for foundations. The 19.5″ x 12.6″ (1.7 sq.’) single-direction contoured plate travels up to 82’per Min, making quick work of big jobs while the storable wheels & folding handlebars make transport & storage a breeze. Backed by a 2-year limited manufacturer’s warranty & supported by our award-winning Colorado-based customer care team, the Dirty Hand Tools vibratory plate compactor is an exceptional value in professional-grade power tools. Powerful 79cc EPA 50 state approved engine. Comfortable – thumb mounted throttle, cushioned handlebars & easy-access engine oil drain tube for operator comfort & convenience. 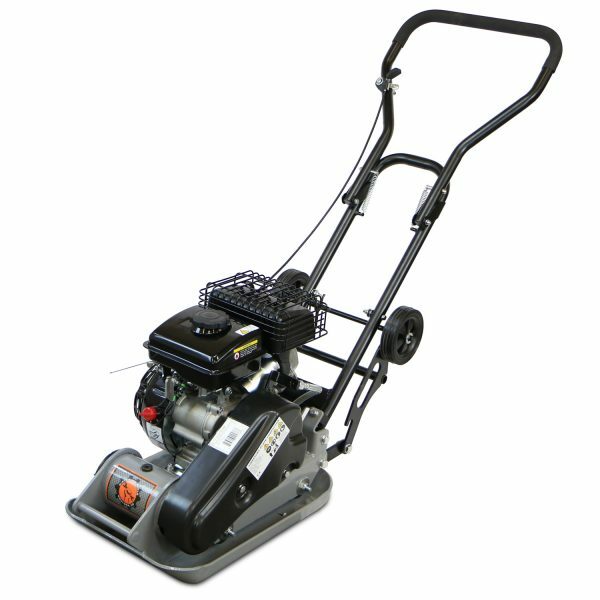 Great compactor, I used for pool building patios so far. works for us…Starts quick…The only thing the wheels get in the way, vibration knocks them down. Our Customer Service line (Toll-Free) is 1-877-487-8275. These Plate Compactors should be in stock mid-January 2019, and at this time we sell these exclusively online. We do have stock of SKU 104001 3000lb Plate Compactor! Don’t hesitate to call us if you have any other questions.